Dzi stones are made from agate, and may have decorative symbols composed of circles, ovals, squares, waves or zig zags, stripes, lines, diamonds, dots, and various other archetypal and symbolic patterns. Colors mainly range from brown to black, with the pattern usually in ivory white. Dzi beads can appear in different colors, shapes, and sizes; the surface is usually smooth and waxy, presumably from wear over a long period of time. Sometimes the natural patterns (usually "layered" swirls) of the agate can be seen underneath or behind the decorative symbols. Asian cultures, including that of Tibet, the bead is considered to provide positive spiritual benefit. This is a round Dzi bead with circles and lines. It is a rich mahogany brown agate. 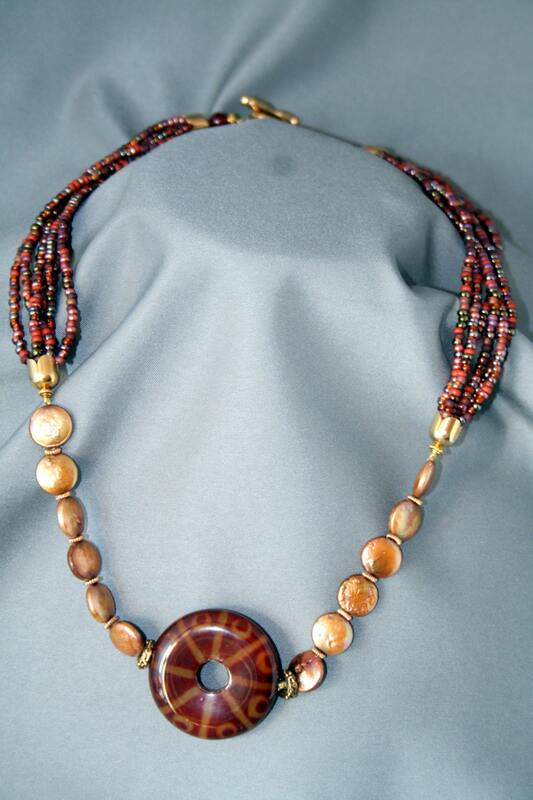 The Dzi is centered between gold coin pearls that lead up to the neckline and spaced with Indian brass spacer beads. 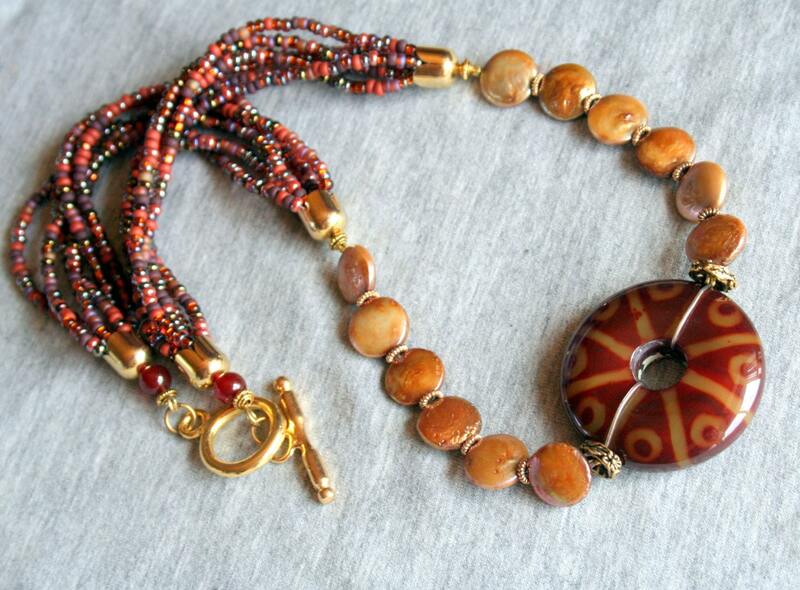 The neck piece then continues up to the clasp with strands of multi-tone seed beads, topped off with two carnelian beads and a gold-tone toggle clasp. The necklace is 22 inches long. It is elegantly simple and has rich shades of brown.